If you’ve never sat down with Dr. Rachelle Davis, you absolutely need to. All musicians have to have a good ear, but Dr. Davis is also really great at listening and she’s ridiculously smart and interesting. So tuck your feet under you and get comfy and get to know a little more about Dr. Davis. Then, stop by her office in Paulin Hall sometime and introduce yourself. You won’t regret it. I don’t know. I couldn’t not be musician. I was always a violin performance major in college, but my dad wanted me to get a ‘real’ job—ie: something that paid the bills. I took pre-Physical Therapy coursework (including G-Chem) until I actually did observations my junior year and decided PT was not for me. One summer I went on a five-week international music tour with PUC, followed by six weeks at Meadowmount School of Music practicing five and six hours a day and rehearsing for several more. By the end of the summer I was sure I didn’t want to be a professional musician and set my sights on becoming a nurse practitioner. In February of my senior year, I realized I loved teaching (I had a couple of pre-college students) and if I got my masters degree in nursing I’d be teaching patient care instead of music. At that point there were plenty of long conversations with friends and lots of tears because I didn’t want to say ‘yes’ to music and the dreaded/beloved practicing. Sometimes what you love hurts too much. Music won. Sometimes I think I was saying yes to a calling. I don’t always like my calling. What was it that made you love the professor role so much? Let’s combine the two: What do you love most about teaching music? Most of us who teach on this campus will probably have the same answer: The ‘Aha’ moment, when someone finally understands a subject or masters a technique or, in teaching violin or rehearsing the orchestra, when the black dots on the page turn from mere notes into music that can reach inside someone and allow us to connect with each other. It is addicting in the best sense of the word. What is your favorite musical period and/or genre, and why? In classical music, 20th century and beyond. You can do anything and there is more edginess to the music. It is predictably unpredictable and there are so many different style options—always with a twist though. There is something for everyone. In non-classical, I like listening to jazz and blues. I love the improvisatory nature of those genres and the way notes are bent and chords are amazingly complex. Classic rock works as well. My family moved from Loma Linda to Bella Vista Hospital in Mayaguez, Puerto Rico when I was three. I grew up climbing mango trees, running around barefoot, and snorkeling. (If I hadn’t been homeschooled, I might be fluent in Spanish, but alas, I’m only proficient.) When I was thirteen, we moved to Fall River Mills, a small town in the middle-of-nowhere Northeastern California. Spectacular views of Mt. Shasta and Mt. Lassen made it a beautiful place to live, but the nearest stoplight was an hour away and music lessons were 2.5 hours away. Who are some composers and/or performers who inspire you? Andrew Bird, Duke Ellington, Ella Fitzgerald, Anne-Sophie Mutter, Rene Fleming, Caroline Shaw, Snarky Puppy, YoYo Ma … the list goes on. Dmitri Shostakovich, Johannes Brahms and Gustav Mahler all lived depressed lives but wrote amazing symphonies that have a way of pulling me up when things seem upside down. If you could have lunch with one celebrity, who would it be, and why? This one is a tough one. People are interesting and everyone has a story to tell. When I was a kid, I would have said Princess Diana. I was obsessed. Can I pick more than one? I think Brene Brown is interesting for her work on shame and vulnerability, or Lady Gaga, for her persistence and ability to transform her vocal style from complete show pop to American songbook-style singing. Neil Gaiman would also be amazing. His capacity for inventive storytelling is awe-inspiring. Name one thing you’re proud of thus far in life. 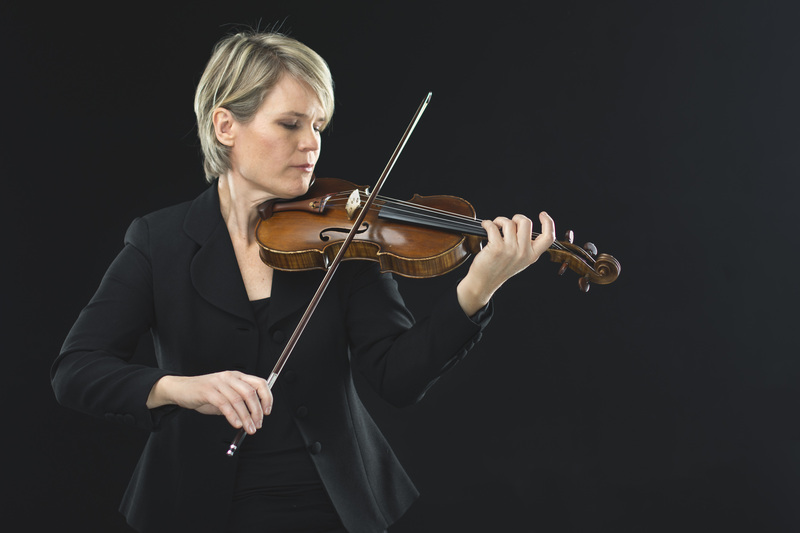 One thing I’m proud of from my master’s work is the three pedagogy papers I wrote for violin pedagogy classes I took with Mimi Zweig at Indiana University became the impetus/starting point for the written material on her award winning StringPedagogy.com website. Since my focus has shifted to college work, I haven’t written more on the subject. Professional Activities: Faculty recital with Joel Dickerson, March 2016; Faculty recital with guest harpist Beverly Wesner-Hoehn, October 2016; clinician for the NCC Academy Festival Orchestra, March 2017; Benefit concert for UpValley Family Centers, May 2018. The fall season is prime time for high school seniors. 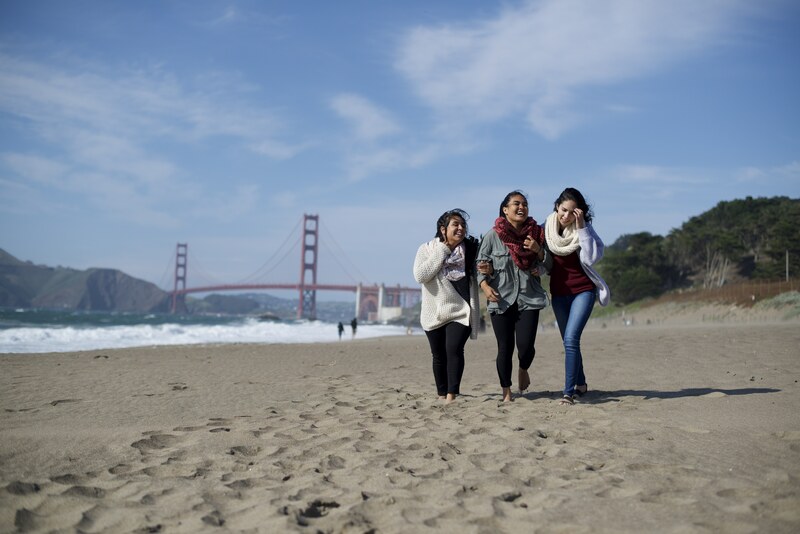 If you haven’t already started looking at potential schools to attend next year, now’s the time—and why not start with Pacific Union College! 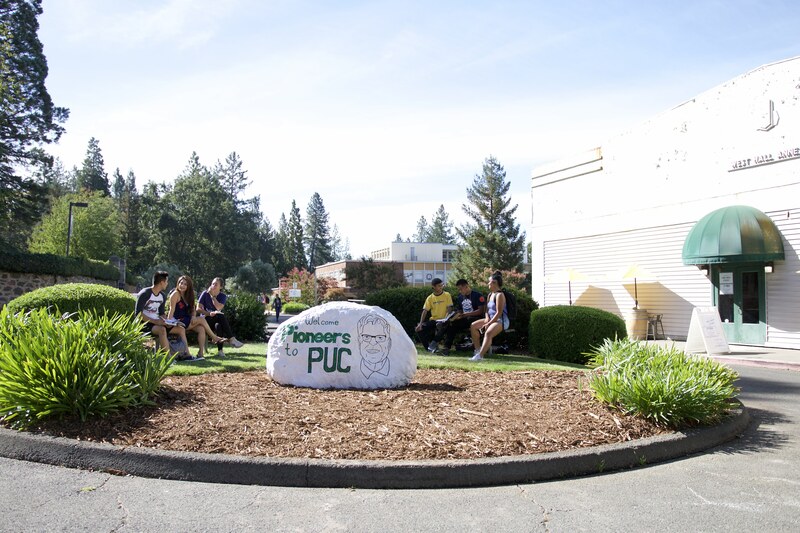 Here are five reasons why you should consider applying to PUC today. 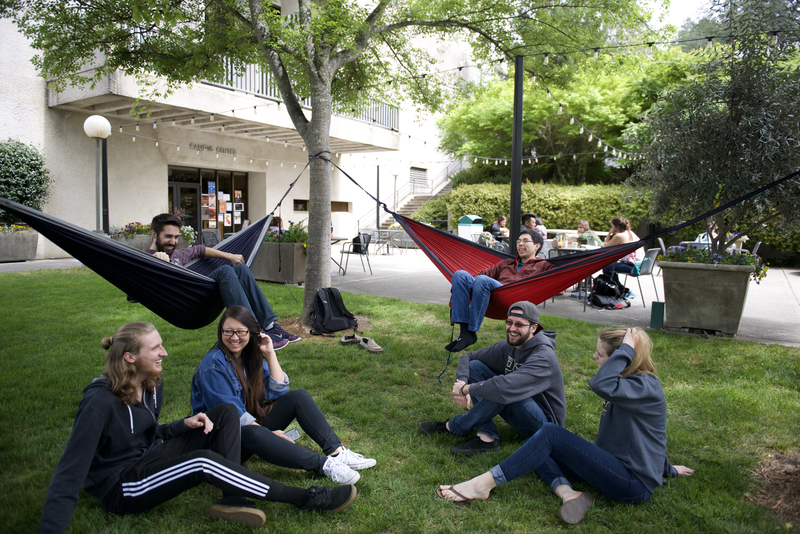 One of the best things about attending PUC is living in one of our seven residence halls. 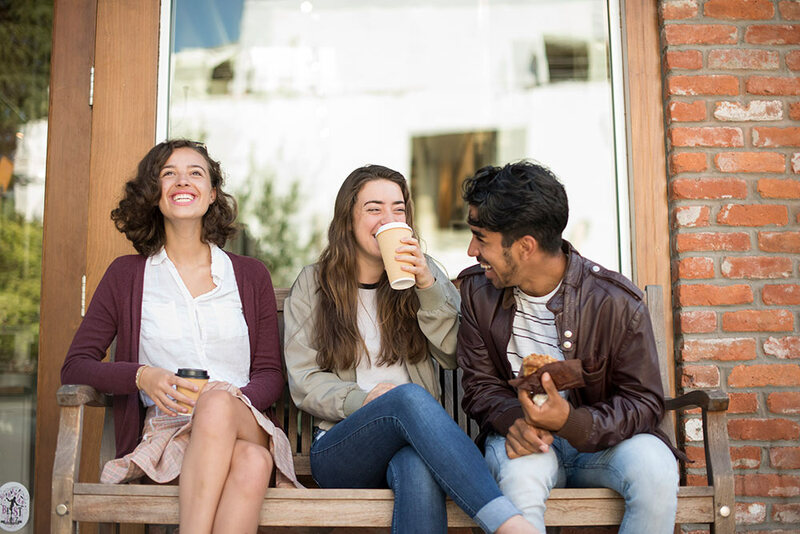 About 75 percent of students live on-campus, which fosters a very close-knit community atmosphere. Students live together, study together, socialize, and worship together, which gives our campus a unique sense of unity. 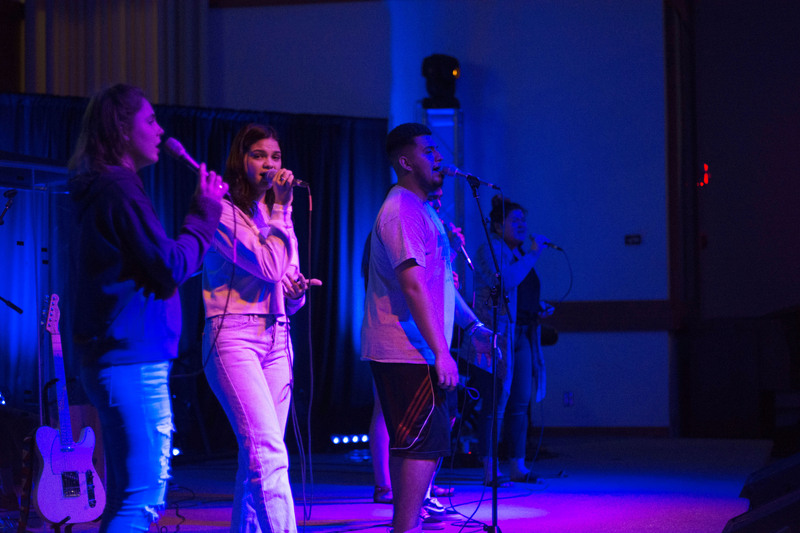 Besides being home for almost 10 months out of the year, the residence halls also provide students with activities like Dorm Olympics, weekly hall worships, and a chance to get to know other students outside the classroom. Check out the Life at PUC page on our website to learn more about the true Pioneers experience. You don’t need to wait until you graduate to start helping with problems around the world. PUC students are already making a difference. 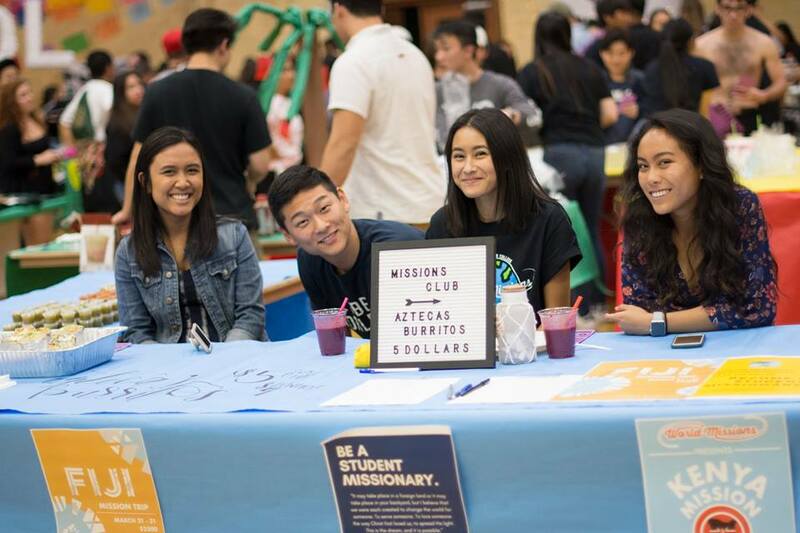 With internships, missionary opportunities, service-learning projects, and on-campus ministry groups, you can be part of making change, today. 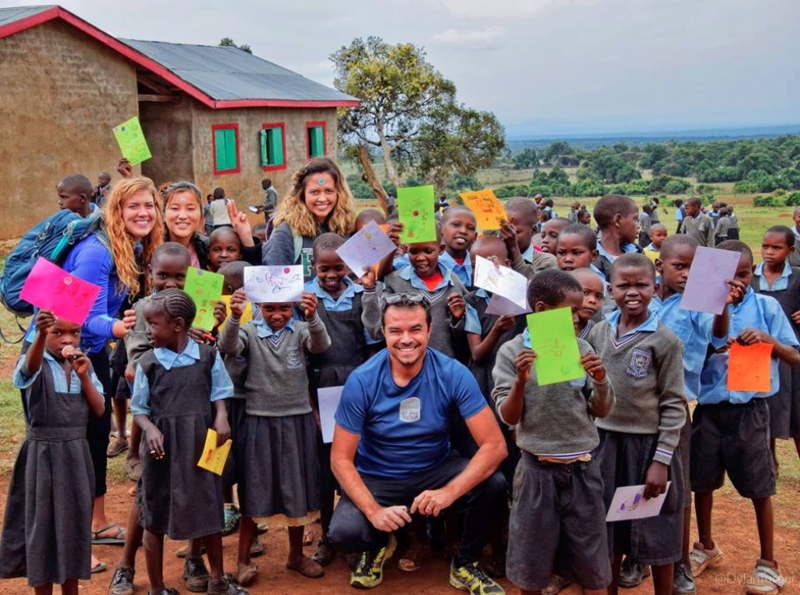 Read about Lauren’s experience as a student missionary in our “How Uganda Love It?” blog post. With a 12:1 student-teacher ratio, your professors will know you. They’re invested in helping you succeed. The one-on-one attention you receive in and out of the classroom will help make you a much more successful student. 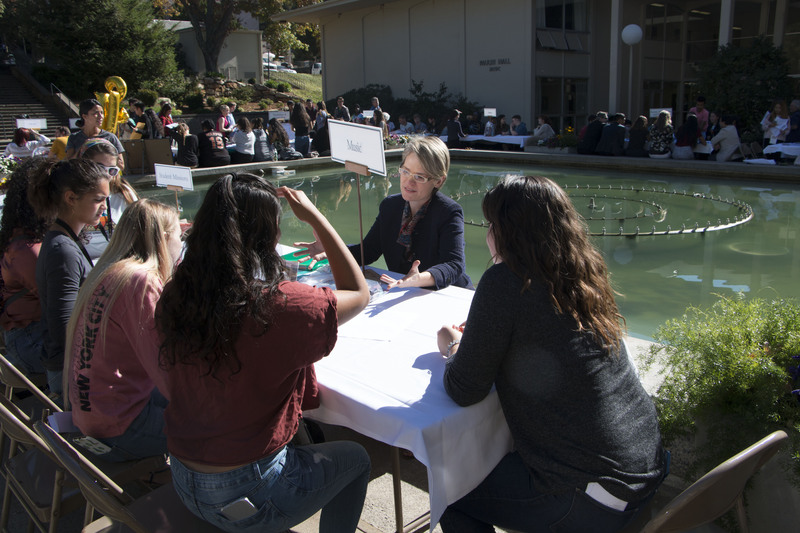 On top of professors’ regular office hours, students at PUC have many unique opportunities to strengthen relationships with their professors, including intramurals, pre-vespers, and community service projects. As you work towards your career goals, you will find your professors become more—they become your mentors who can help you along your journey, and ones you can still get advice from years after graduation. Since 1882, PUC has been charged with an important mission: providing an excellent Seventh-day Adventist education that prepares students for successful careers and service to both God and others. We are committed to working together with you and your family to make a high-quality Adventist college experience possible. 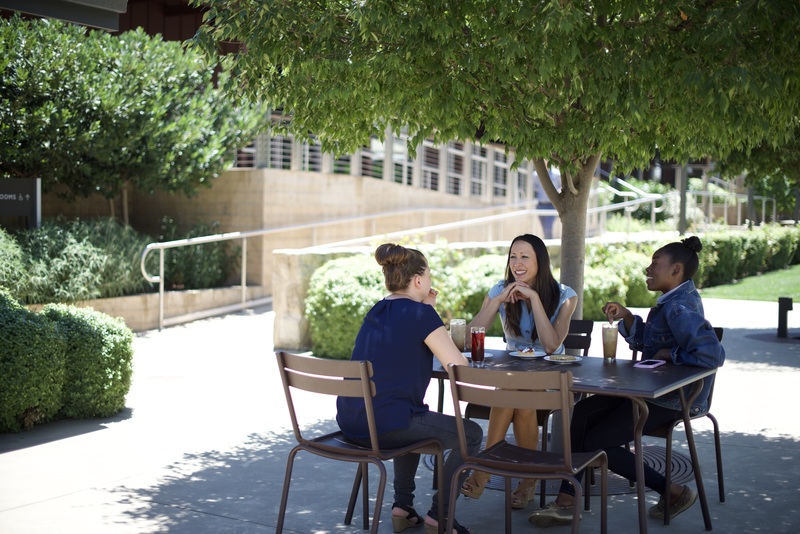 Learn more about scholarships and other financial aid opportunities at puc.edu/scholarships. One of the best things about life at PUC is our amazing location. Nestled in the mountains above the beautiful Napa Valley, students are #blessed to wake up each morning to gorgeous views of a perfect mixture of forest and vineyards. Surrounded by over 30 miles of picturesque hiking and biking trails with incredible destinations, allow for some of the most exquisite sunsets over the charming town of Angwin, perfect to get that Instagram-worthy photo. And just a car ride to San Francisco away holds all the culture you can dream of with galleries, concert halls, museums, theaters, sports stadiums, and plenty of shopping. With so many unique sites and attractions, you’ll always have somewhere to explore. As you’ve seen, there are many advantages to attending PUC and we would be thrilled to welcome you into the Pioneers family! The online application is quick, easy to complete, and always free. Reach out to the Admissions office with any questions you might have by calling (800) 862-7080, option 2 or emailing admissions@puc.edu. Don’t wait—apply to PUC now! 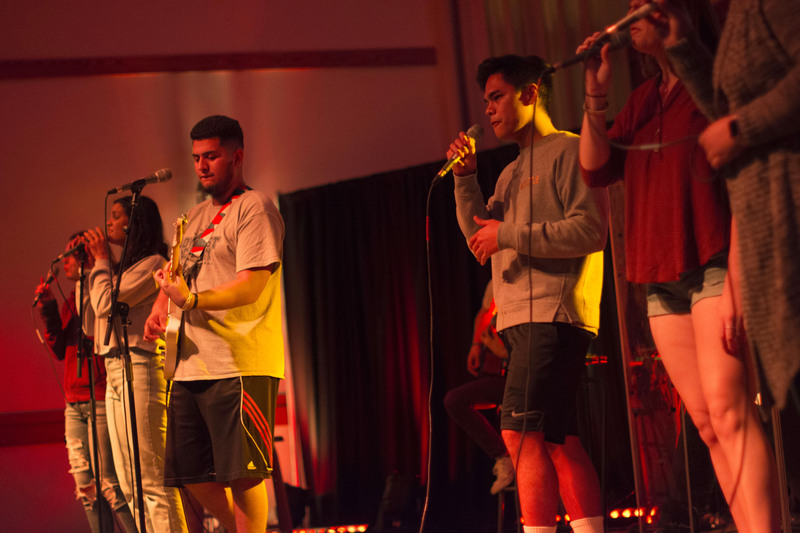 Since 1882, Pacific Union College has been charged with an important mission: providing an excellent Seventh-day Adventist education that prepares students for successful careers and service to both God and others. 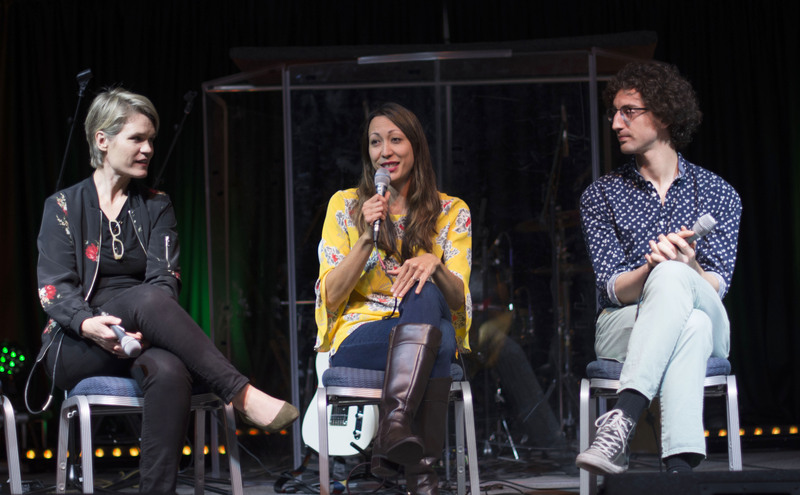 We are committed to working together with you and your family to make a high-quality Adventist college experience possible. This year, we are thrilled to introduce two exciting new scholarships, along with updates to many existing ones. See everything PUC offers at puc.edu/scholarships. Certain qualifications and restrictions may apply; contact the Student Financial Services office for more information. Award is given freshman year only. 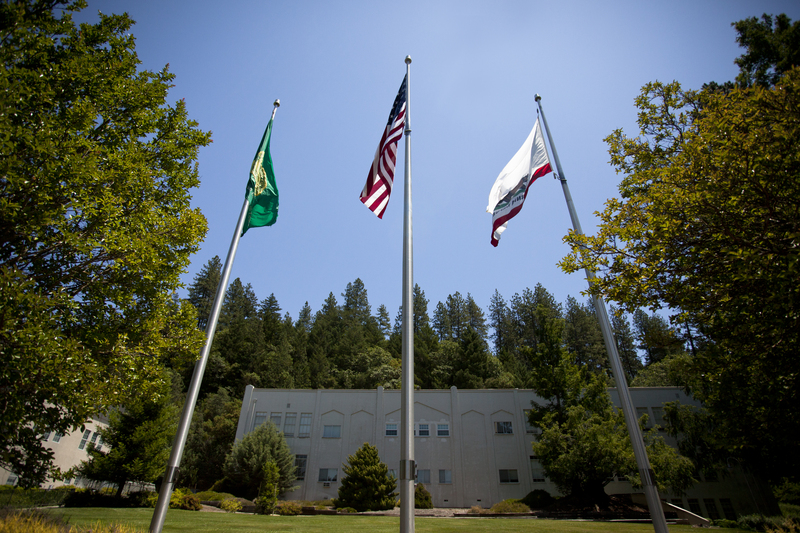 To learn more about financial aid at PUC, visit puc.edu/scholarships. You can also call (800) 862-7080, option 1 or email studentfinance@puc.edu to get connected with a PUC financial aid counselor and learn about the aid opportunities available to you. 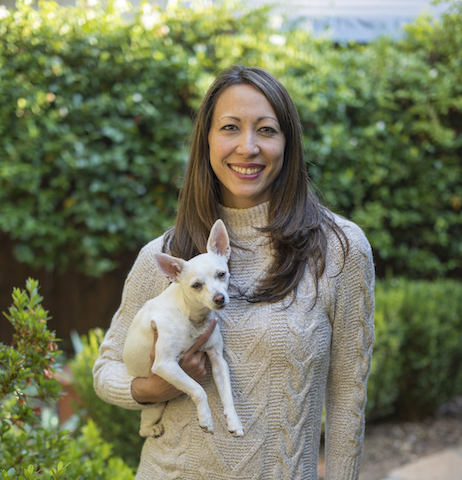 Professor Michelle Konn Rai specializes in public relations and integrated marketing communications. Prior to teaching, she worked in several different positions at PUC; as an enrollment counselor, assistant director of enrollment services, and director of public relations. She enjoys spending quality time with her two children, Sophie and Joshua, and husband, David; Instagramming the antics of her dog, Snowball; surfing when back in Hawaii; playing tennis, and experimenting with exotic cuisine. Teaching found me and I’m so grateful. I was busy working as the PR director for PUC when I heard of an opening for a public relations professor. The academic dean and department chair at the time talked me into trying it, and it has been such a rewarding and fulfilling career. USTA league tennis, pet Instagramming, being a short order cook for my kids, attempting to practice yoga, online bargain shopping, and trying new foods any chance I get. I really don’t enjoy public speaking. The people, hands down. There is something so special about this place. It attracts incredibly talented and engaging faculty, staff, and students to create a wonderful learning space and community. I realize I should say something nostalgic such as the Back 40 forest but it’s really the Howell Mountain Deli in the College Market. I am slightly addicted to their Cobb salad and homemade garlic chips. “Take On Me” by A-ha. Their lead singer Morten Harkett was my preteen crush and I would scream every time it played on the radio. I’d say the best thing you can do is get off your device. Experience college and get to know people face to face. You don’t need to document every minute of your day—keep people guessing about what makes you tick! 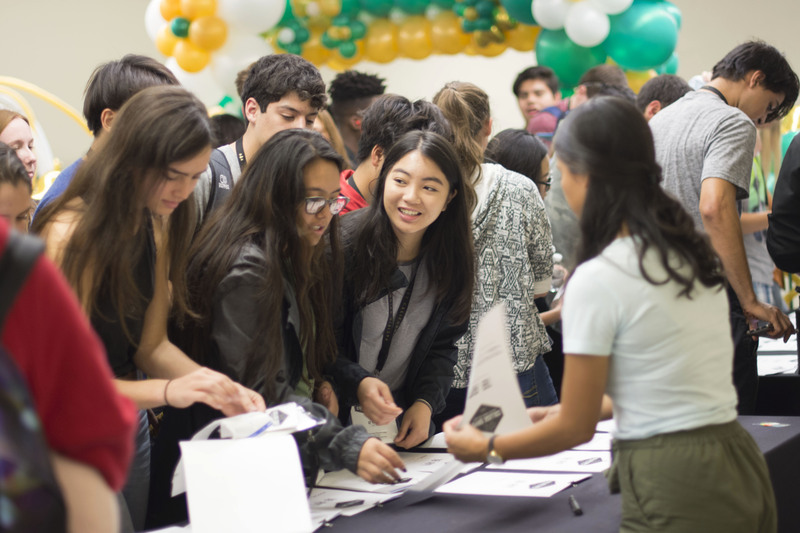 Earlier this month, we welcomed over 300 students and sponsors to our campus for College Days. If you’ve never heard of College Days, it is PUC’s special visitation event, held three times a year. The next event is scheduled for February 10-12, 2019. Sign up now! 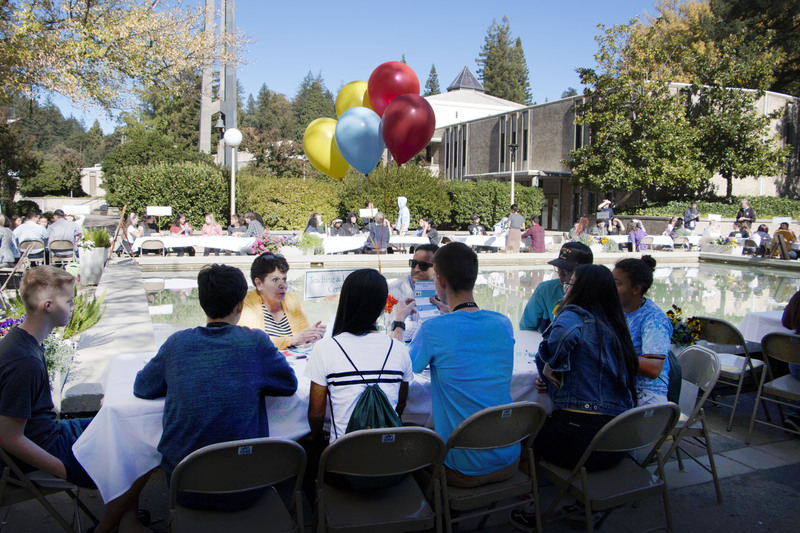 College Days is two action-packed days where you can experience what life at the college is like, and a great way to see if PUC is the right fit for you. 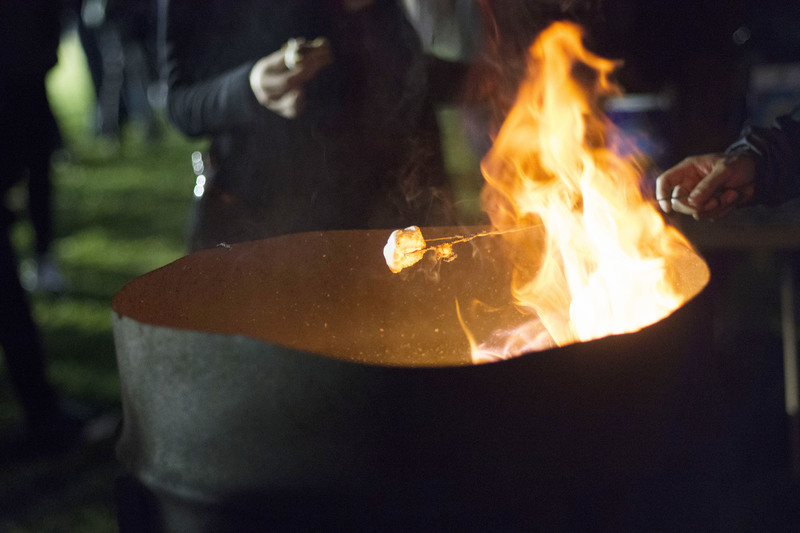 Below are some of our favorite moments from this past College Days. You can also check out the hashtag #PUCCollegeDays18 to see more photos from the event! Visiting students sign up for academic departments to visit. 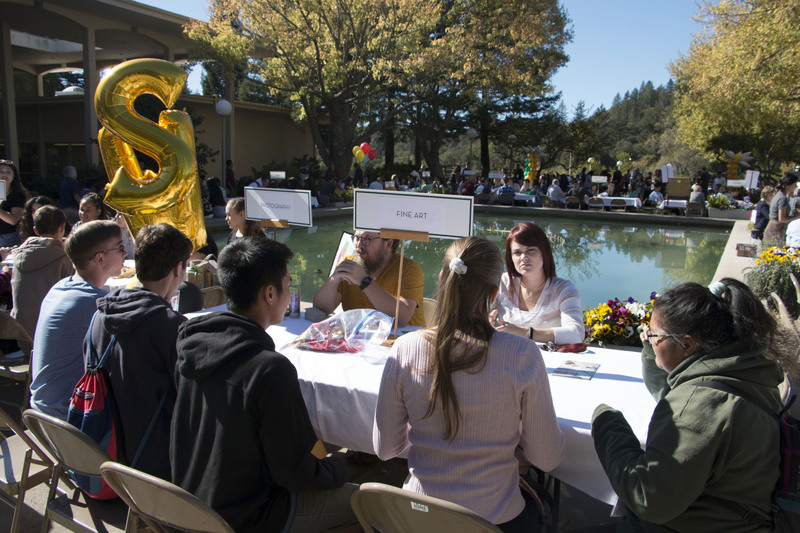 PUC’s annual Fall Fest also took place during College Days, where student-run clubs raised money for projects by selling various items. 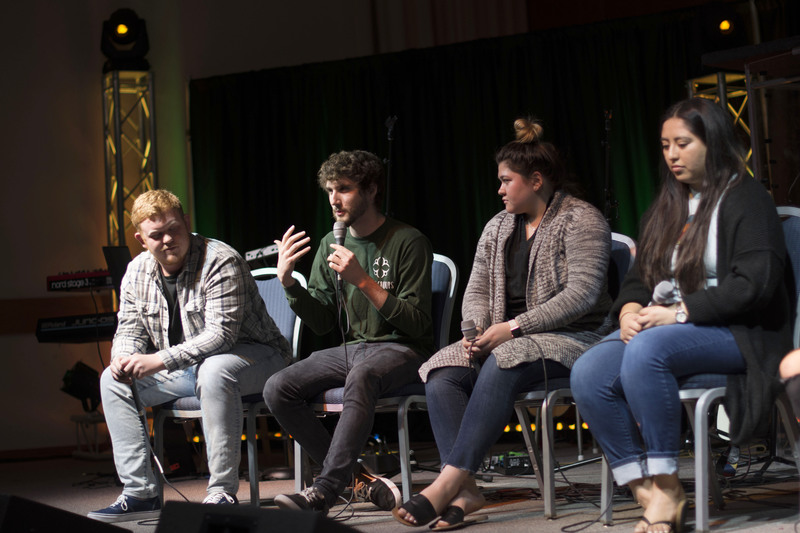 During one of the College Days meetings, visiting students got to hear from current PUC students about what life is like and ask questions about their experiences at the college. There was also a faculty panel, during which faculty shared about their departments and why they love teaching at PUC. A PUC student-led praise band closes the evening with worship. Starting the day with a worship thought. The highlight of day two was a pizza party and visiting students speed mingling with different departments on campus. 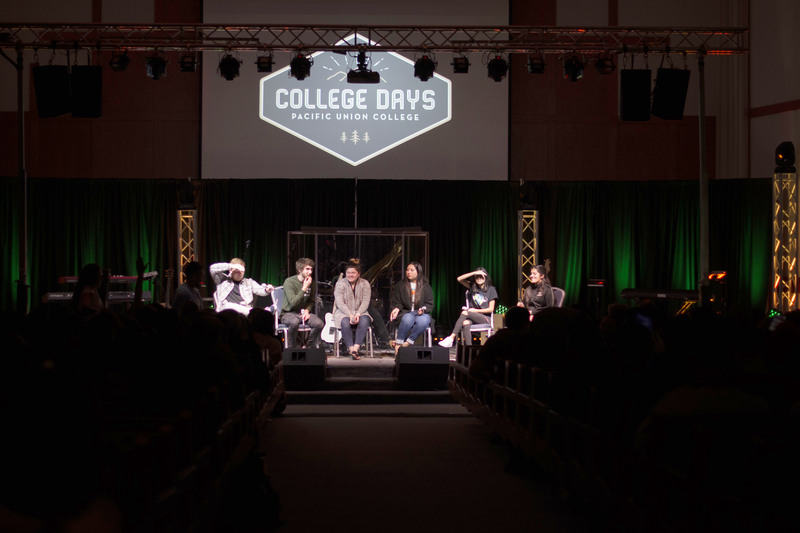 We hope you will join us for our February College Days. Don’t forget to sign up! Robert Quiroz, a health communications major at Pacific Union College, has been in the California Army National Guard since 2011. 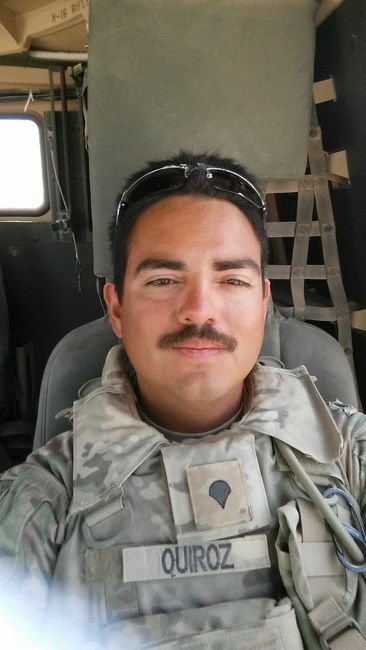 In 2014, before he ever deployed, Quiroz sat in his house in Stockton, California, listening to gunshots outside his house, thinking, There has to be a better way. He had been reading Fearless, by Eric Blehm, the biography of Adam Brown, a Navy SEAL who died in Afghanistan. The book mentions a young man from Angwin, California, which caught Quiroz’s eye. He knew PUC was there and was struck by the idea of completing a college degree. So, once he returned from military training, he and his wife left Stockton for Angwin and Quiroz enrolled in PUC’s health communications program. Quiroz grew up Adventist. His mom and grandmother were Adventist, as well as his dad, whose father was an Adventist pastor in Colombia. This faith and the value he places on them, has led to a deep appreciation for the Adventist school system. Another part of life at PUC that has been helpful to Quiroz and his fellow veterans is the Veterans Club. 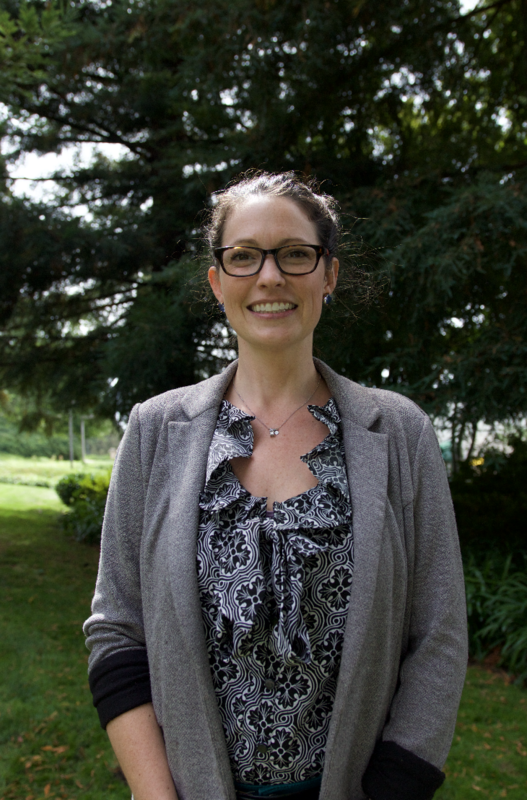 Fiona Bullock, a former professor in the department of social work at PUC, started the club in 2015 and convinced her department to give the club a room in their building to meet in and call their own. Quiroz worked alongside another PUC student, an Air Force veteran, to make it a welcoming gathering space. The room now has painted walls, banners and flags from the various branches of the U.S. military, a large map for club members to mark their homes and deployment locations, couches, snacks, a brand new television, and even a few medals on the wall. The television was donated by Kellie Lind, vice president of alumni and advancement, and her two sisters, Kim and Kendall, in honor of their father, Rob, a veteran of the U.S. Army. 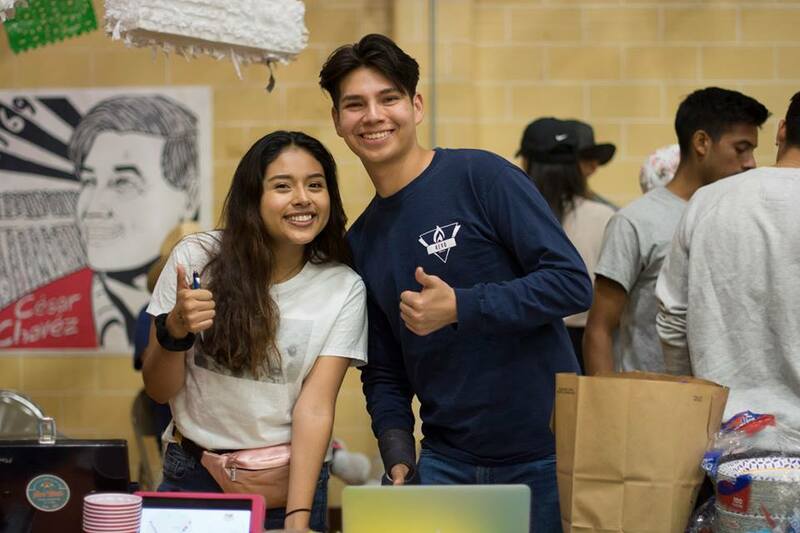 The club regularly hosts events such as dinners, group event attendance, and other social opportunities to gather and get to know and support each other. Many veterans leave the military with some sort of disability, and some are still working through those disabilities when they arrive at PUC. This is where the support services of the team at the Teaching & Learning Center (TLC) come in. Jacobo is one of several staff members who work tirelessly to ensure students get the assistance they need while attending PUC. They organize accommodations for physical, mental, and learning disabilities, help student veterans manage and process their government education benefits, offer one-on-one as well as group tutoring sessions for various subjects and courses, and more. One of the greatest things about PUC, though, Quiroz admits, is where he’s able to live. Quiroz maintains God led him to PUC.